All products need to be packed in a safe secure packaging that not only provides the protection to the product but also adds to the aesthetic presentation of the product. Today plastic packaging is one of the most common and popular form of packing material. It is cheap, strong, and durable and can be moulded into any shape required. However plastic has one major disadvantage. It is not bio degradable. Once discarded, it goes into the landfills where it sits for thousands of years. With consumer becoming environmentally conscious there is a need to move away from plastic packaging and use more eco friendly alternatives. Most of these alternatives have been around for years. They just need a fresh perspective to add some aesthetic appeal. Here are some alternatives which are not only better than plastic, they also add to the aesthetic appeal of the product. Paper is degradable. Not only that, paper is also reusable many times: Brown paper bags were quite common until some years ago. They are now making a comeback. Paper is used to make paperboard that is in turn used to make strong boxes which are used commonly to pack small light items. Paperboard has come of age and can be used for making food grade packing as well. Paperboard based sandwich packs are quite common. Paperboard cups are also commonly used for serving beverages. These can be shredded and reused again for different (non food grade) products or can be put down for bio degradation. It is made of wooden pulp that is natural. Cardboard is a thick form of layered paper is also very common in packaging industry: Cardboard needs no introduction. It is very popular packing material in form of boxes and cartons. It comes in all sizes, for small hand held products such as mobiles and toys to large boxes well above 1 meter on each side. Corrugated cardboard boxes have good strength to handle heavy products. They can be carried unfolded, requiring minimal space and can be easily disposed off. In fact strong large cartons are now being reused at homes to make coffee tables and as storage space among other things. And they disintegrate quickly, just like paper. Corn Starch: Corn starch is used as a Styrofoam replacement in packaging. It has the strength similar to plastic. It is shaped in form of beans and peanuts for providing cushion in packing large products and in making packing trays for food items. 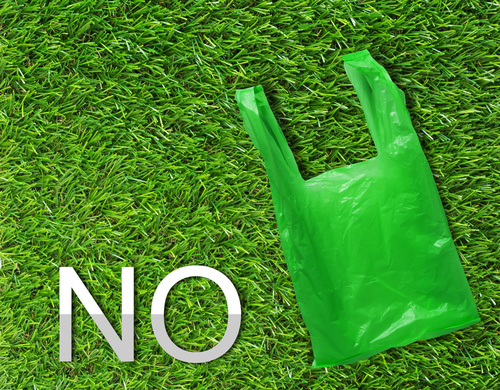 If disposed properly it decomposes into water and carbon dioxide within months, which is much shorter than the decomposition time required for plastic. It is made from corn, which is cheap and readily available. Zip lock bags: Though these are made of plastic, they are designed to be reused. They are airtight plastic bags that can store any product, which they can accommodate. Many households reuse them for storing food products. They may not be easily decomposable, but they are definitely reusable which increases their usable life and reduces the stress on resources used to produce them. Glass by itself is made from plain silica: It is an excellent material to store food items as it is water tight, air tight and inert. It also lends a classy look to the product and well designed glass jars are quite presentable. The jars and bottles that have wind up caps instead of crowns can be reused as household storage for Jams, sources, marmalades and many other items. If nothing else, a well designed jar is used as decorative item by itself. It is not only degradable (it is just sand after all), it is highly reusable. In fact soda companies reuse most of their bottles. There’s no reason why a business cannot have a well designed glass container that lends an aesthetic look to their product and remain eco friendly. Jute has become a coming of age material when it comes to its use as packing material: It was used to make large gunny bags to carry produce and grain (such as potato, rice, wheat etc) in large quantities. But today it is being used as a chic packing material that comes in various shapes, sizes and colours. It gives a rustic, classy old world feel to the product while retaining the earthy look. It is used to pack speciality items such as Tea leaves, dry fruits, speciality wines and gift items. It certainly does lend a certain class to the product. Jute is strong and can carry good amount of weight in small size packing, making it ideal for shipping. Wood is totally eco friendly: It has been used as packing material for large items for very long time. Even though the plastic pallets all are rage in the industry, wooden pallets are still very commonly used in freight industry. Wooden crates have been used for long. With recent advances in cutting and carving tools, small wooden boxes have become popular to pack speciality items. These are now used to increase the perceived status of the product and are by themselves reusable. This makes them a very effective choice as a packaging material if you want to increase the status of your product. Various forms of metal have been used for packaging sensitive material: With recent advances, the metal, in form of aluminium cans, foils, steel cans and jars, it has again become popular. It can be reused by consumers in the home for storage, and can also be easily recycled. It has been used for packaging food products like Oils, tea and other aromatic substances that need to be kept away from light and air. The thin aluminium foils are used to pack candies and chocolates. A non reusable but recyclable form of packaging made of metal, is the very popular can of soft drink. These are crushed, melted and reused to make cans again. Metal packaging is very versatile. It has been around for a long time. With new innovation it has become cost effective and attractive. Packaging can be fun. It can be reusable, recyclable and economic. Producers just need a little imagination to use eco friendly products and make their product elegant and attractive.